This is the story of a conventional granny who one day decided to accompany her grandson to a rock concert. That event changed her life forever. 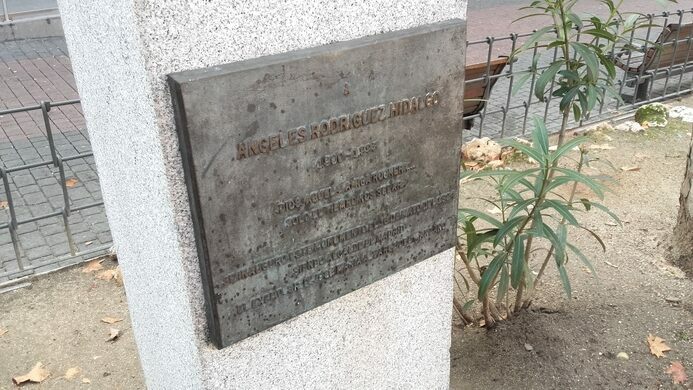 But Rodríguez Hidalgo was not exactly a young lady when she decided to go at a rock concert with her grandson at age 70. She did, though, like it so much that after that she never missed a chance to attend a metal show and became a beloved figure of the ’80s rock scene in Madrid. Over time “la abuela rockera” (“the rocker grandma”) came to collaborate with radio and TV shows and even had her own column in Heavy Rock magazine. Her image was featured on the cover of the album “Toca Madera” by the heavy band Panzer, showing her clad in leather and giving the metal horns sign. 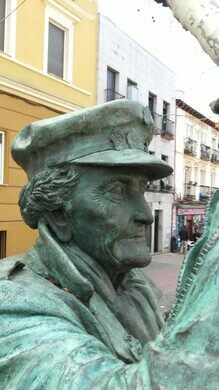 In 1999, six years after Rodríguez Hidalgo’s death, artist Carmen Jorba created a bronze sculpture of the rocker grandma, hand held high, recreating the image from the Panzer album. 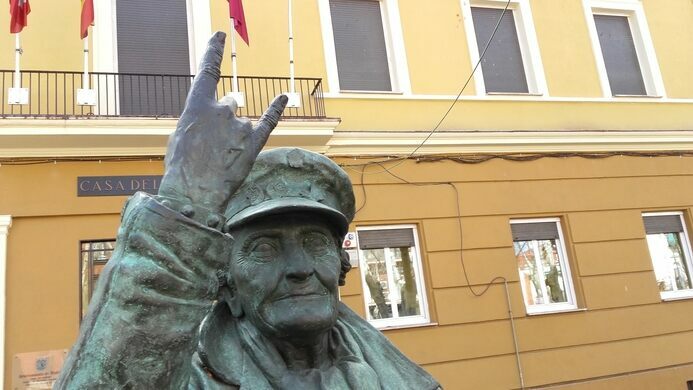 At one point, some vandals broke off the statue’s devil horn fingers and for several years grandma’s hand seemed to depict the communist symbol. It’s since been repaired, and now stands in all its metal splendor, a rare tribute to an unexpected pop culture personality. 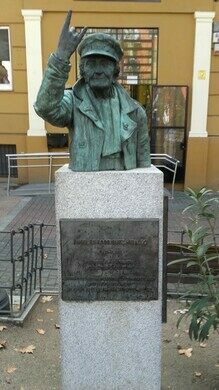 The sculpture is situated in the neighborhood of Vallecas. 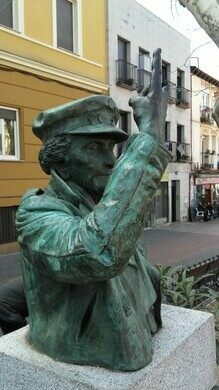 Easily accessible by tube in Puente Vallecas station.